Lighthouse On The Sea Under Sky. Royalty Free Fotografie A Reklamní Fotografie. Image 57698167. Reklamní fotografie - Lighthouse on the sea under sky. 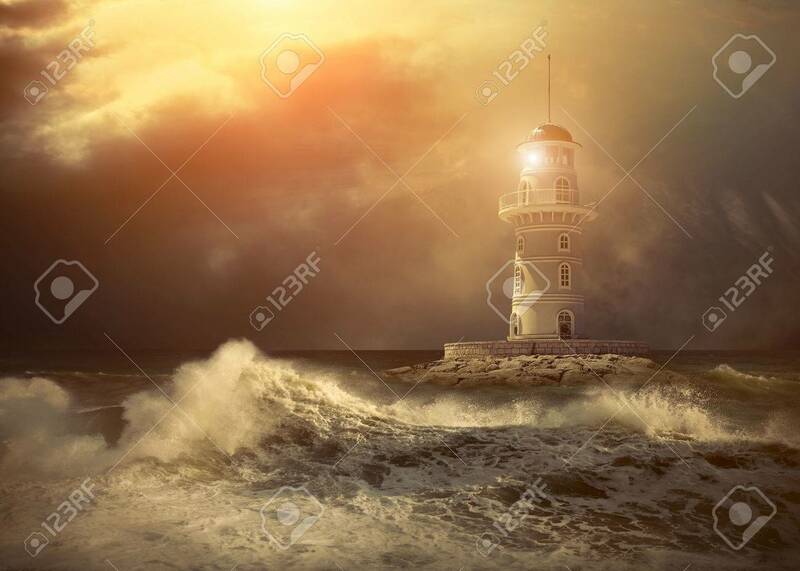 Lighthouse on the sea under sky.